Hunters are social creatures. We like to get together every season and even if we hunt alone during the day having people to share the experience with back at deer camp in the evening makes it better. 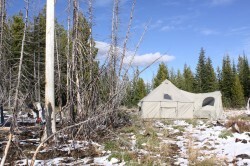 But maximizing success starts before the wall tent is stacked in the bed of your pick up. 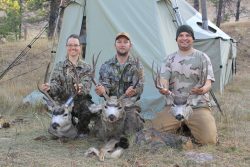 Here is how to get the most out of your group hunting experience. The first thing to do is find access and one or two big Block Management Areas (BMAs) won’t cut it. Order the BMA books from the Montana FWP but don’t rely solely on them. 100,000 acres might sound great until you get there and realize that you are the 15th hunter there that dayfor twelve days in a row. 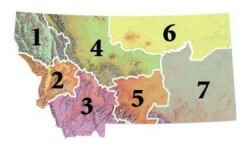 Instead look for big sections of BLM land preferably connected to BMA’s or state land. If those lands weave in and out of adjacent crop fields you’ll need a GPS to keep you from unknowingly entering onto private lands. 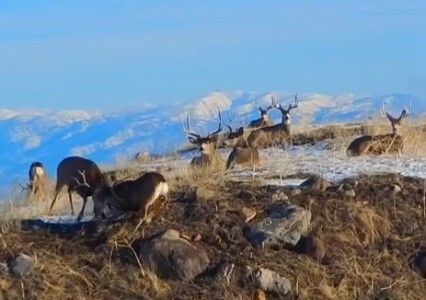 Montana has a complicated network of Federal, state and private lands but a little bit of pre-game will make your hunt. Creating a list of possible locations and studying the locations on computer-map programs is ideal but the point is to identify good areas and have them listed on a map. It’s ok if they are 90 miles apart, find the access points on a map and locate a place to camp. In many parts of Montana hotels are too far to even consider. If you’re willing to drive 200 miles every day just to have a hot shower and a bed so be it, but maximizing success means maximizing time afield. Bring a tent. If you hunt for two days and all you have seen are two does and a fawn chances are that the deer numbers in that area aren’t all that good. Although, I know hunters who can’t adjust their eyes to locate deer bedded in sage brush or who are unwilling to walk more than 200 yards from the truck but that’s a different story for a different article. Being ready to move means that if you have spent a couple of hard days glassing, walking and crawling over the edges of rolling terrain and aren’t finding much pack up camp and move locations. Sometimes a move of just 50 or 100 miles is the difference between looking over 20 -30 deer each day or just picking cactus from your knee caps. Big bucks probably aren’t standing out in the middle of a half mile wide flat. When they hit the open areas they will run to get down out of sight and out of the wind. 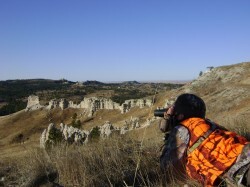 Those area the areas you and your hunting buddies need to look. Good mule deer locations can be found with minimal effort and just because the area was unbelievable back in 92′ does not mean anything. Even if it was good last year doesn’t mean much. Look around, make an assessment about the potential and even if your camp site looks like it belongs on the cover of Outdoor Life Magazine, if the deer aren’t there – move. Your photos of nice buck will be more appreciated that those deer-less landscape shots of sun rises. If that sounds stupid, good. But I know guys who sit around at deer camp because it is too cold, too wet, too windy… come on! If someone in deer camp won’t leave camp don’t invite him (or her) back. Unless they have breakfast and dinner ready every day. Seriously though, spending all day, every day hunting is paramount to your success. If there are three of you hunting together every person should be glassing. The more eyes the better. Take turns and use the resource of multiple people. Once you find a good buck keep one hunter at the location you found him to keep eyes on the deer as the other hunters make a move. Hand signals can made by a hunter who is keeping eyes on a bedded buck will keep the stalkers in good position. Working together to bring meat back to camp is as old as man kind. Sharing the tasks of the hunt can be as valuable as sharing all the other duties like packing, cooking and settting up camp. The point here is, we are social beings who exist because of our ability to work together. Get the most out of your group hunting experience by identifying access ahead of time, being willing to move and hunt hard once you get there. It really is that simple to make it fun and rewarding, just like hunting should be.